When you’re looking for a new ride on a budget, we’re proud to offer our selection of used cars. At Automaxx of the Carolinas, we offer a wide selection of cars from Chevrolet, Ford, Honda, Kia, and many more of the biggest names in the industry. Buying a used car can be a great way to enjoy options that might normally be out of your price range. While a new luxury car might not fit into your finances, a luxury car from a few years back could be just the thing. You could buy a run-of-the-mill new model from one of our competitors… or you could buy a used version of that car you always wanted. In addition to increasing your potential choices, used cars retain their value better than new ones. A new car loses 10% of its value after it drives off the lot, and another 10% after the first year of ownership. A used car has already taken these hits to its value. If you ever change your mind and decide to sell, a used car will let you recoup more of your original investment. 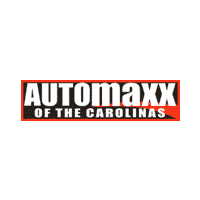 At Automaxx of the Carolinas, we’re proud to help Charleston drivers find quality used cars. We can’t wait to help you too.